Lee Blessing Broadway and London’s West End: A Walk in the Woods. Off-Broadway: Thief River (Drama Desk nomination, Best Play), Cobb (Drama Desk award, Best Ensemble), Chesapeake, Eleemosynary, and Down the Road-plus Fortinbras, Lake Street Extension, Two Rooms, and the world premiere of Patient A, all in the 1992-1993 Signature Theater Season. Upcoming world premieres: A Body of Water at the Guthrie Theater and The Scottish Play at La Jolla Playhouse. Recent world and regional premieres: Riches at Theatre de la Gate, Paris; The Winning Streak at George Street Playhouse, Flag Day and Whores at the Contemporary American Theater Festival; Black Sheep at Florida Stage and the Barrington Stage Company and Thief River at the Guthrie Theater. Other plays include Great Falls, Independence, Riches, Oldtimers Game and Nice People Dancing to Good Country Music. Other awards: The American Theater Critics Circle Award, the L.A. Drama Critics Award, the Great American Play Award, The Humanitas Award and the George and Elizabeth Morton Award among others. Nominations for Tony and Oliver awards, as well as for the Pulitzer Prize. Three plays have been cited in Time Magazine’s list of the years Ten Best. Blessing’s award-winning television drama Cooperstown, starring Alan Arkin and Graham Greene aired on TNT. 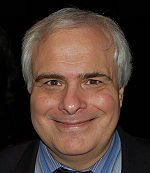 Peter Filichia is a theater critic in print for The Star-Ledger in Newark, New Jersey, and on television for News 12 New Jersey. He is the author of Let’s Put on a Musical: How to Choose the Right Show for your Community Theater, currently available through Back Stage Books. He is working on a new edition which will be released next spring. Three times a week, he writes Peter Filichia’s Diary for Theatermania.com. He wrote the weekly column entitled Stagestruck for Theater Week magazine during its nine-year run and for three years for Playbill On-Line. He has written a daily column, Theatergoer’s Diary, for Theatre.com and BroadwayOnline.com. He served for four terms as president and chairman of the nominating committee of the Drama Desk, the New York Association of Drama Critics, for which he wrote and emceed its annual Drama Desk Awards. He has been a member of the nominating committee for the Lucille Lortel Award, and is the incoming president for the Theatre World Awards, which he hosts each spring. In addition, he has written the liner notes for many Broadway cast albums, is the critic-in-residence for the University of Cincinnati Conservatory of Music, annually serves on the ASCAP Popular Awards Panel; and has appeared on Sally Jesse Raphael, Phil Donahue, and Saturday Night Live. Sherry Kramer Her plays have been produced extensively here and abroad and include David’s RedHaired Death, The Mad Master, Things That Break, What a Man Weighs, The Wall of Water, Ivanhoe, MO., The Law Makes Evening Fall, and a new one woman, one Barbie play, SOFA: Enchanted Evening. 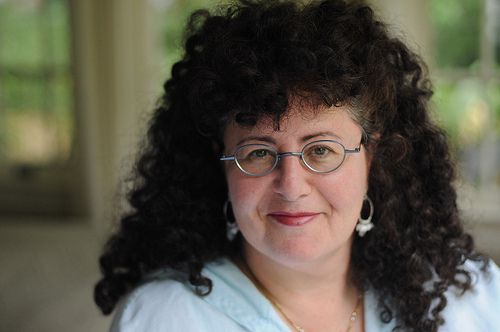 She is the recipient of NEA, NYFA, and McKnight Fellowships, the Weissberger Award, a New York Drama League Award, the L.A. Woman in Theater New Play Award, the Jane Chambers Award, and was the first national member of New Dramatists. She teaches playwriting at the Michener Center for Writers, UT Austin, and the Iowa Playwrights Workshop, where she was head of the workshop in 1996. Her plays are published by Broadway Play Publishing. Synopsis: Joe Morton sees the walls closing in. He already has the wife, he just got the job, and soon – if Sara has her way – he’ll have the kid. Joe is looking for a way out, but he confuses freedom with destruction and finds that destruction can look a lot like creation. Synopsis: Faced with a life-changing decision, Jane steps through her bathroom closet and appears on a mysterious beach. Haunted by memories and visions, she is convinced by two other women – a tough talking 50s greaser and a plucky Renaissance nun – to finally make a choice.